Romy, Sam Han’s daughter and Dr. Schneider’s granddaughter, is a Los Angeles native, international business woman and graduate of the University of Southern California. Long before her appointment to The HSICF Board, Romy was involved in numerous volunteer and leadership organizations throughout her schooling years and beyond, of which included Meals-On-Wheels, President of The Girl’s League, Key Club, and Children’s Camp. She has studied ballet, the piano and the violin from a young age and has enjoyed mentoring children in these fields. When not traveling abroad, Romy enjoys spending time with her husband and newborn son, as well as entertaining friends and family at their home. She is an avid music lover, snowboarder, skier, cyclist, foodie, and loves to cook. Molly Wellinger was born and raised in Grosse Pointe, Michigan. She attended the University of Michigan where she obtained her Bachelors of Business Administration from the Ross School of Business. After completing her BBA she continued her schooling at the University of Michigan, receiving her Masters in Accounting (MAcc) from the Ross School of Business. After graduation she relocated to Los Angeles, where she began her career at Deloitte & Touche LLP and became a licenced Certified Public Accountant. 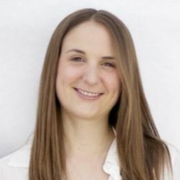 Molly is an Advisory Manager at Deloitte with over 8 years experience in the fields of internal and external audit, Sarbanes-Oxley readiness, and internal controls design and implementation. Molly has managed complex projects and teams, completing focused audits and business process reviews for both public and private companies. Her primary focus is business risk, but has experience and possesses knowledge of technology risk. Molly has served clients in the Technology, Media, & Telecommunications, and Health Sciences & Government sectors. Molly and her husband, Carl, live in Los Angeles, CA. Outside of work Molly is passionate about volunteering her time and expertise. She will no doubt be beneficial to the mission and growth on the Han-Schneider International Children’s Foundation for years to come. 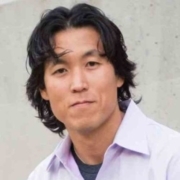 Ken Park has a passion for helping children and increasing literacy all over the world. Having been involved with numerous non-profits in the past, Ken is honored to be a part of the HSICF Board because of the personal connection that he has with the children that HSICF serves. Ken grew up in Houston and graduated from the University of Chicago with a degree in Economics. After working in brain research labs at the University of Chicago, the University of Iowa Hospitals, and Merck Research, he graduated with his MBA from USC’s Marshall School of Business. Following USC he worked as a healthcare consultant at several organizations including medical technology startups, the LA Jewish Home for the Aging, Quest Diagnostics, the California Medical Association, and even back at USC as an Associate Director of MBA Admissions. Transitioning fully into Human Resources and Talent Acquisition, he has helped multiple ad agencies and tech companies grow and nurture their employees. Currently he is the Director of People at Innocean Worldwide in Huntington Beach and always finds time to promote health and wellness within corporate settings. He is enthusiastic to see what lies ahead for HSICF and feels blessed to be a part of it. He and his wife enjoy living near the beach in El Segundo with their 3 beautiful daughters. Jimmy Lin was born in Kobe, Japan and grew up in Southern California. He is a graduate of the University of Southern California, with a Business Administration degree in Finance and Entrepreneurship. 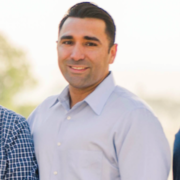 Jimmy’s professional experience includes time as a financial and litigation consultant with the firm FTI Consulting and founding multiple e-commerce businesses. He is currently the president of HeatPressNation.com, an e-commerce business who focuses on educating, empowering and supplying small business owners across the US in starting or growing their apparel and promotional products printing businesses. Jimmy has had a high level of appreciation and respect for the commitment and work that HSICF has done towards helping to nourish physically, mentally and spiritually some of the world’s most vulnerable children. When approached with the possibility of joining the HSICF Board, he was excited about the opportunity and hopes to make a positive impact towards furthering the work and accomplishments of the foundation. As the 4th generation of the 100-year-old San Antonio Winery, L.A.’s largest and longest-producing winery, Dante Colombatti not only understands the importance of tradition, but has carried on the family legacy by helping to catapult the iconic winery to the national stage. Dante’s vision was instrumental in their Stella Rosa brand becoming the #1 imported Italian wine in the country and in developing its innovative, award-winning aluminum can packaging. His creative energy spearheaded national marketing campaigns for the Riboli Family Wine Estate’s other award-winners, such as Maddalena, San Simeon, Opaque, San Antonio Cardinale, and Bodega Sangria, as well as the new Rosa 22 aperitif being introduced this fall. Never content with the status quo, the WSET 3 awarded marketing director has increased the winery’s online sales by 30 percent, created their very popular artisan wine club, and initiated an online club designed for sweet wine lovers (www.SweetWineClub.com). Dante’s also launching a website for wine lovers to design personalized wine labels that’s set to launch in the fall. (www.personalizedwinelabels.com). 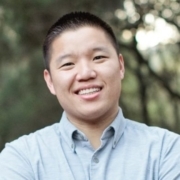 Brian Kim is a 2nd generation Korean-American. 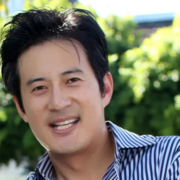 Mr. Kim has a diverse background as an investment banker and as an Internet entrepreneur. He currently is President of Tiger Group, a restaurant group that creates and manages new food concepts. Mr. Kim received a B.S. degree in Business Administration from the University of Southern California. Mr. Kim and his wife, Emily, have been heavily involved in the foundation’s work for several years, even traveling to Tanzania to spend time with the children there. 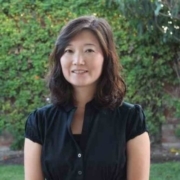 Alice Park was born and raised in Southern California and is a second generation Korean-American. She is a graduate of Boston University’s Sargent College with a Bachelor of Science degree in Health Sciences and a Master of Science degree in Physical Therapy. She has been working as a physical therapist for over 15 years with Kaiser Permanente. She values being able to work closely with patients and their families when helping them through their recovery process from various illness and surgeries. She enjoys giving back to the community and especially enjoys working with children. She is an active volunteer at all three of her children’s schools, the Boy Scouts of America, and the Girls Scouts of Greater Los Angeles. When not chauffeuring her children around town, Alice loves to find time for friends, reading, catching up on movies, crafting, and camping. However family brings her the greatest joy and more than anything else, she loves to spend time with her husband, Tim, and their three kids.